WASHINGTON, Jan 16 2013 (IPS) - Unveiling the most extensive gun control proposal in generations, U.S. President Barack Obama on Wednesday signed nearly two dozen executive orders and called on the U.S. Congress to enact a legislative package to blunt the country’s growing trend of gun violence. The executive orders will strengthen a background check system for gun purchases, increase investigations into the sources of guns used during crimes, bolster the government’s ability to research gun ownership and violence, provide schools with more safety resources and launch a “national dialogue” on mental health. The president is also urging Congress to take up legislation to require universal background checks for gun buyers (currently, around 40 percent of gun sales do not require any such check), to restore a ban on military-style assault weapons that expired in 2004, and to outlaw ammunition clips that store more than 10 bullets. The recent flurry of activity around gun control in the United States was prompted by the killing on Dec. 14, 2012 of 20 children and six adults at an elementary school in the state of Connecticut. Nonetheless, public shootings, particularly at schools, have become a nearly regular event in the United States in recent years. According to a 2007 survey, the United States, where the Constitution’s Second Amendment guarantees the right to “keep and bear” guns, owns nearly half of all privately owned guns in the world. According to a study by Harvard University, a child in the U.S. is 13 times more likely to be killed by gun violence than a child in any other industrialised country. On Wednesday, President Obama noted that in the month since the Connecticut shootings, more than 900 additional deaths in the United States have been blamed on guns. Others have suggested that the figure would double if it included gun suicides. While many progressives are lauding the new moves, some are expressing regret that the president didn’t include basic initiatives to curb the significant flow of weapons from the United States into Mexico. The Second Amendment “was never…designed to arm foreign criminal groups”, Eduardo Medina Mora, Mexico’s ambassador to the United States, told journalists last week, suggesting that the new legislative atmosphere offers a “window of opportunity”. Some 60,000 Mexicans have reportedly been killed in gun violence over the past half-dozen years. According to statistics offered by the U.S. government itself, around 70 percent of the guns seized in Mexico over the past year have been of U.S. origin. “Mexico’s previous administration prodded the U.S. to take stronger action on gun control for years, and Mexico’s new ambassador has continued that pressure,” Christopher Wilson, an associate at the Woodrow Wilson Centre’s Mexico Institute, a Washington-based think tank, told IPS. Yet in his remarks on Wednesday and in the details of his slew of executive orders, President Obama did not appear to emphasise the impact of U.S. guns on populations outside the country. On Monday, WOLA delivered a petition to the White House, signed by 55,000 people in the United States and Mexico, urging executive action on this issue. In particular, the petition called on the Obama administration to enforce an existing ban on the importation of foreign-produced assault rifles and to expand reporting requirements for assault weapons currently in effect only in border states. Olson noted that the most important actions in this regard will require authorisation from Congress. Yet while she was confident that some members of Congress would be interested in moving to restrict the southward flow of arms, the broader prospects of President Obama’s new proposals are unclear. The Republican-held House of Representatives will be one obstacle, with reports suggesting that even moderate Republicans in the House are not pushing for action on the president’s new proposals. The National Rifle Association (NRA), a lobby group, remains an active and generous supporter of many Republican (and some Democratic) members of Congress. NRA membership has reportedly soared since the Connecticut shootings, as have purchases of assault-style weapons. In response to the shootings, the group suggested putting armed guards in schools. Given House Republican threats, Democrats are being cautious in taking potentially politically damaging stances on legislation that stands little possibility of becoming law. A sluggish response from Democrats could now be the biggest obstacle standing in the way of major gun control overhaul. In fact, recent surveys suggest broad and non-partisan support for some key components of Obama’s new proposals. 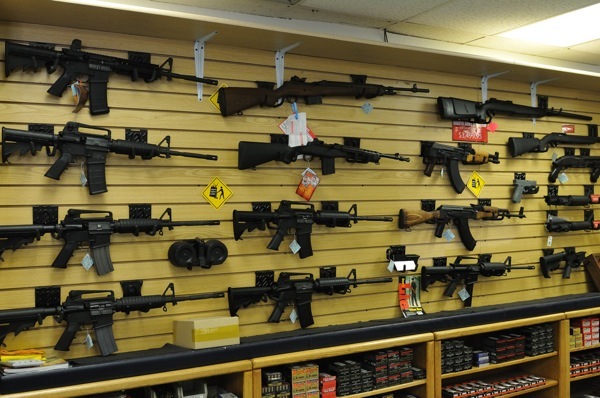 According to a new poll by the Pew Research Center released on Monday, more than 80 percent of respondents support significantly expanded background checks for gun sales and laws preventing the mentally ill from purchasing weapons. Further, majorities also support the creation of a federal database on gun ownership and bans on assault-style and semiautomatic weapons and high-capacity ammunition clips. But because the partisan divide is far wider on these issues, Congressional action may be less likely.